The ML-CIRRUS mission deployed the novel high-altitude long-range research aircraft HALO to get new insights into the nucleation, life cycle and climate impact of natural cirrus and anthropogenic contrail cirrus. The ML-CIRRUS mission with the G5 research aircraft HALO combined an in situ/remote sensing payload including a suite of direct state-of-the-art cloud instruments and a novel aerosol and ice residual, trace gas and radiation instrumentation as well as a high-spectral-resolution water vapor lidar. The aircraft observations were assisted by remote sensing observations from satellite and ground and by numerical simulations to predict cirrus and contrail cirrus occurrence. ML-CIRRUS will provide a comprehensive data set on natural cirrus and aircraft-induced cloudiness for cloud process studies and climatological considerations. 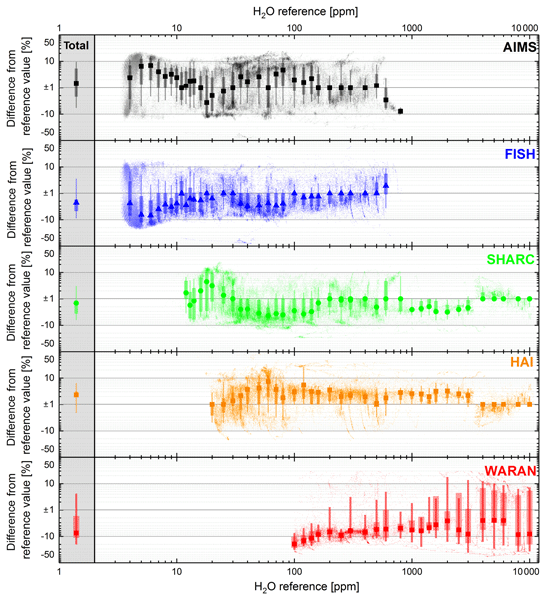 We present an intercomparison of the airborne water vapor measurements during the ML-CIRRUS mission. Although the agreement of the hygrometers significantly improved compared to studies from recent decades, systematic differences remain under specific meteorological conditions. We compare the measurements to model data, where we observe a model wet bias in the lower stratosphere close to the tropopause, likely caused by a blurred humidity gradient in the model tropopause. 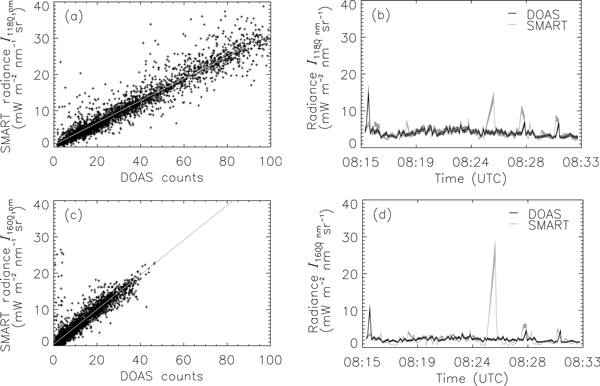 This paper demonstrates a new form of statistical analysis of contrail to cirrus evolution. The authors show well-separated analyses of the different stages of the contrail's evolution, which allows us to study their optical, microphysical, and chemical properties. These results could be used to develop representative parameterizations of the scattering and geometrical properties of the ice crystals’ shapes and sizes, observed in the visible wavelength range. 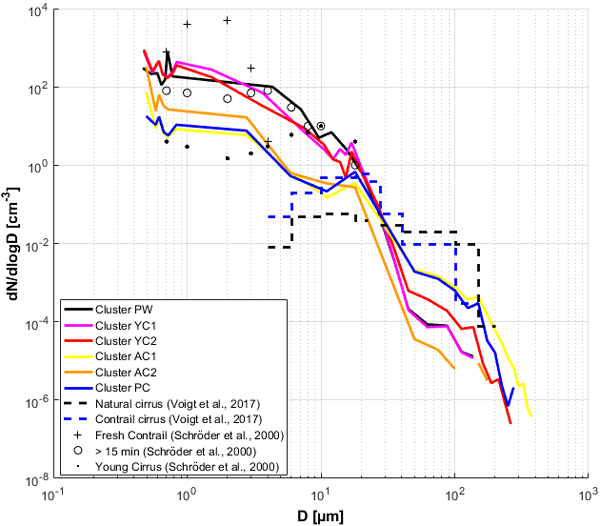 Cirrus evolution from nucleation to cloud breakup can be investigated with a novel classification scheme based on airborne lidar data. Applying it to a case study from the ML-CIRRUS campaign, we investigate the impact of large-scale dynamics and small-scale gravity lee waves on the detailed spatial distribution of evolution stages in individual clouds. Our scheme may help to gain more insights in optical and radiative properties of cirrus under various formation and life cycle conditions. In this study, we present observational evidence to show that two distinct types of cirrus clouds exist – in situ origin and liquid origin cirrus. These two types differ by their formation mechanism and other properties. 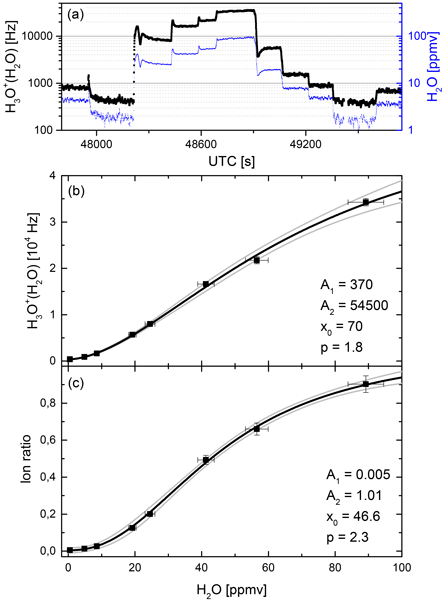 Airborne, in-cloud measurements of cloud ice water content (IWC), ice crystal concentration (Nice), and ice crystal size from the 2014 ML-CIRRUS campaign provide cloud samples that have been divided and analyzed according to their origin type. The paper details novel mass spectrometric measurements with AIMS-TG aboard the new German research aircraft HALO. The measurements comprise a wide range of tracers with characteristic source regions. Using these tracers, stratospheric and tropospheric air in the UTLS is tagged. The instrument is equipped with a new discharge ionization source, an in-flight calibration and improved transmission of adhesive gases like HNO3 and HCl. AIMS was built to characterize transport and mixing in the UTLS.